One-on-one coaching sessions on artist websites with Don Betts. Creative Manitoba is proud to offer our members and 245 McDermot tenants the chance to participate in our Expert Advice for Indie Artists Program, which provides access to personalized one-on-one coaching with arts professionals. Coach: Don Betts is a freelance website designer and developer who uses WordPress to create website solutions for his clients. He has a background working for not-for-profit organizations where he first started making websites. 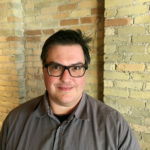 He has been building websites using WordPress for 8 years and has been active in the Winnipeg WordPress community. Don’s passion for matching good design with the goals of his clients has given him many opportunities to work with amazing people and organizations. He works primarily with small businesses and not-for-profit organizations.